Since its launch some four years ago, Reckon Accounts Hosted (formerly known as QuickBooks Hosted by Reckon Online), has grown to be one of the most feature complete and cost accessible Cloud Accounting Suites on the market. Accessed by some 11,000 users daily with up to 5,000 users simultaneously accessing the system globally is proof of the system’s popularity. Initially launched as a Microsoft Remote Web App, the SaaS (Software-as-a Service) accounting suite was instantly accessible by mirroring the desktop product. Allowing inter-changeable files between the Desktop product and the Hosted product meant no re-training and a flexible online and offline solution; with easy sharing between users, bookkeepers and accountants. However, the system was limited to Microsoft PC access only. With the burgeoning tablet market being led at the time by the iPad, a “Premium” Hosted service was soon launched using the Citrix Receiver to boost speed and accessibility to not only Microsoft, but Android, Apple and other Operating Systems. This opened the Cloud Accounting market up to smaller businesses being able to mobilise sales teams and work from home, without the need to send backups, or forget and have staff accessing different copies of data! 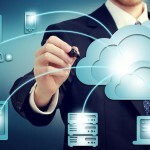 Times have changed rapidly in the Cloud market though, with increased demand on integration, uptime and ease of connection, the Version One platform of Reckon Accounts Hosted has of recent times, been showing its age; with some connection and outage issues plaguing the popular service. 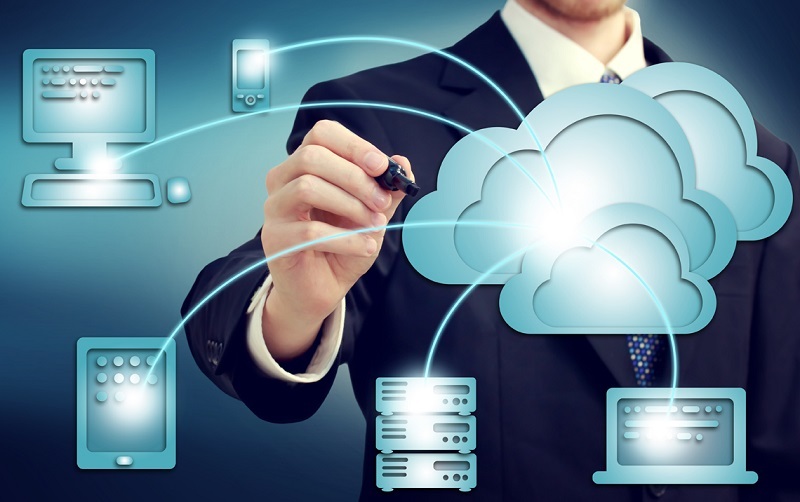 Reckon are again showing their commitment to the Hosted product, despite fierce competition coming from other areas of Cloud Accounting, it is now time again to improve on what we thoroughly believe to be the most cost effective and feature complete Cloud Accounting Solution on the market. We are only too happy to welcome to market the introduction of, what has been known internally as, “V2″, or Hosted Version 2. Having been involved in Beta testing Reckon Accounts Hosted V2 internally for over 12 months now on a variety of PC and mobile platforms, we have been great advocates of Reckon to release this much needed upgrade. 1. Simple Login Procedure – No more qbi\134187-2 as a username and no more passwords such as $%87uTy$3 – how about a simple username and password you can set yourself – YES! 2. Better File Management for Taking a Backup Locally – Who has tried to download a copy of their Reckon Accounts Hosted backup file to their Desktop and not been able to find the backup, or not had the backup compete? Yes, Reckon Accounts Hosted V2 features a simple on screen Backup solution, with a dedicated private online backup drive, and simple Download and Upload tools! 3. No Plugins Required! – Have you ever been at a web cafe and wanting to login, only to find you don’t have Admin rights to install the Citrix Receiver? Well fear no more, as Reckon Accounts Hosted is truly more compatible with no plug ins required (they are self installed via the browser upon login) – meaning truly gloabal access from truly any browser – be it PC, Mac, Android, or Ipad, Blackberry, and more. 4. Work Within A Tabbed Environment – As a modern system, logging into and working with Reckon Accounts Hosted V2 is as simple as logging into any other website and simply runs as an open tab within your browser, you can even drag your tab to a new screen or go full screen (F11 in most browsers) for the best experience. 5. Improved Local Printing – Printer Issues or Printers Not Connecting – Yep, Reckon have thought of this one too! Utilising more modern cloud printing techniques, Reckon Accounts Hosted V2 will print directly to a local PDF printer, displaying your reports as a PDF report, you are then able to either save the reports locally, or print using your local printers – no more remote print issues! Print multiple reports to multiple tabs for easy side by side viewing. This also eliminates the need to email reports to yourself or install a 3rd party local PDF converter . 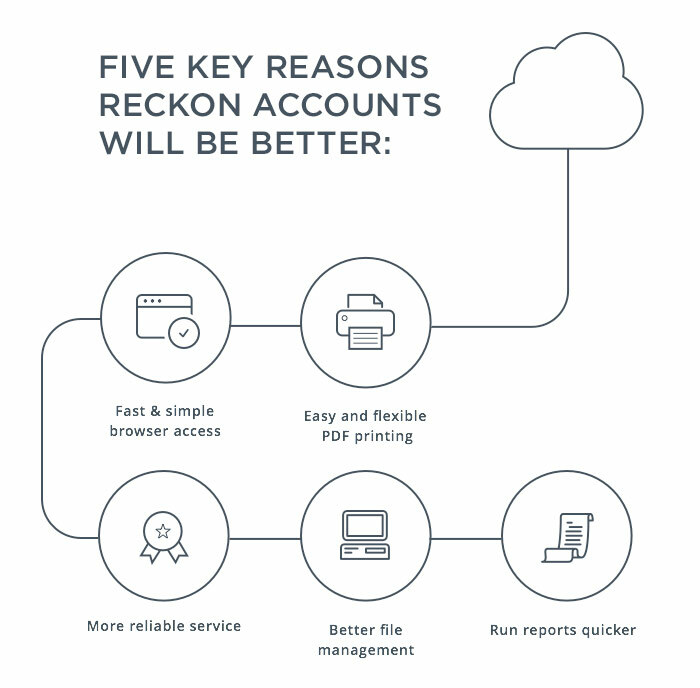 We recently wrote on the increased functionality brought to the Hosted system via the Reckon Accounts 2014 upgrade and furthermore you can explore the overall benefits of Reckon Accounts by reading our Top 10 Time Saving Tips For Reckon Accounts. Add to this the benefits of global, multi-user access, 24/7 uptime and availability, simple file management and access from any device – and one of the most feature complete and cost-effective Cloud Accounting Systems on the market, with 100% Desktop cross-file compatibility (requires Reckon Accounts Enterprise), and you have one formidable system that we firmly believe will continue to grow and gain support from Accountants, Bookkeepers and end users alike. The improved Reckon Accounts Hosted experience will be launched to all users on August 10, 2014, for further information please visit Reckon’s information page where you can view videos and further instructions on how the upgrade will be introduced and how to access some of the new features. Our Consultants will of course be readily available to assist with your migration to the new service, as will the Reckon Team.